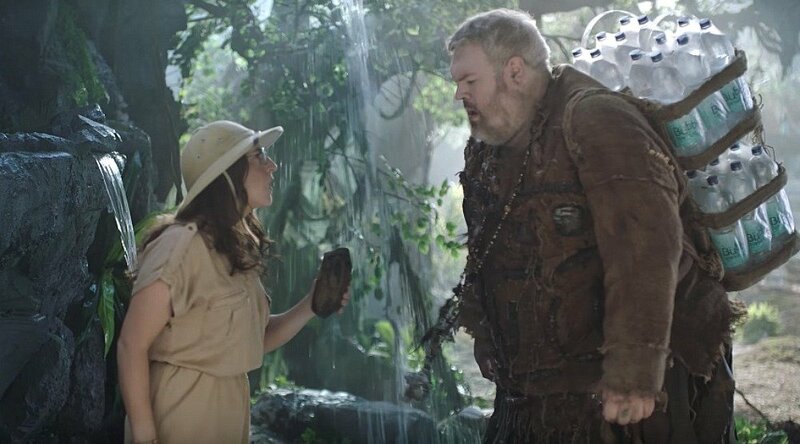 What happens when actress Mayim Bialik (Dr. Amy Farrah Fowler) of The Big Bang Theory and Kristian Nairn (Hodor) of Game of Thrones come together? Well, they combine their introverted, humourous character traits to star in a one-of-a-kind video production that amasses five million views in less than 24 hours. They say witty one-liners in an epic rainforest setting, wearing the costumes to match. And chances are you’ll laugh out loud when you see it. Presented by SodaStream, the video was launched on July 12 and gives you a look at the lives of ‘Homoshlepiens’ in the year 2136. But there’s also a strong message contained within. Although there is plenty of water flowing around them in the video, the Homoschlepiens won’t drink still or sparkling water unless it comes from a plastic bottle. This is the key message that SodaStream wishes to convey – why single use plastic bottles should be a thing of the past. Regardless of your preference over still or sparkling water, the effects these plastic bottles have on our environment is irreversible. “The fact that the Homoschlepiens has drawn so much attention since it was released shows that there’s a strong demand for engaging content with purpose,” Rena Nickerson, general manager of SodaStream Canada said in a press release. “Plastic bottles make no sense” is a line that you’ll hear repeated in the video and it’s a solid point to consider. And in 2016 alone, SodaStream in Canada replaced up to 100 million single-use bottles and cans. “We’re able to highlight a serious problem using a humorous approach, showing that disposable plastic bottles belongs to the past. Isn’t it time that we stop talking about it and start taking action to break these bad, polluting habits?” Nickerson added. You can find out more information about the Homoschlepiens online and even take an evolution quiz to see how “evolved” you actually are. To learn how SodaStream makes water exciting check out the brand on Facebook, Twitter, Instagram and YouTube.